Knitting loom Instructions might come in handy if you are new to knitting on a loom. Knitting on a loom is rather easy (and quick) but only when you know how to do the fundamentals, like casting on and off and how to do knit and purl stitches. On this page, you will find instructions on how to do an Easy Cast On and an Easy Cast Off. On to the Knitting Loom Instructions! This method of casting on is good for when you are getting started but not recommended if you like a neat edge! Start by making a slip knot, and placing the loop over the first peg on your loom with the trailing yarn in the centre of your loom. Holding the loom in your left hand take the yarn behind and then around the second peg crossing the yarn at the back of the peg. Continue all the way around the loom twice so that you have two loops on each peg. Fasten the yarn on the holding peg on the side of the loom. Using the hook tool, lift the bottom loop on the first peg up and over the top loop, and allow it to slip over the peg to the back of the work to form a knit stitch. Continue all the way around the loom. When you have completed the knit stitch on the last peg, unwrap the working yarn from the holding peg and wrap another row of loops on each peg around the loom to start the next row of stitches. 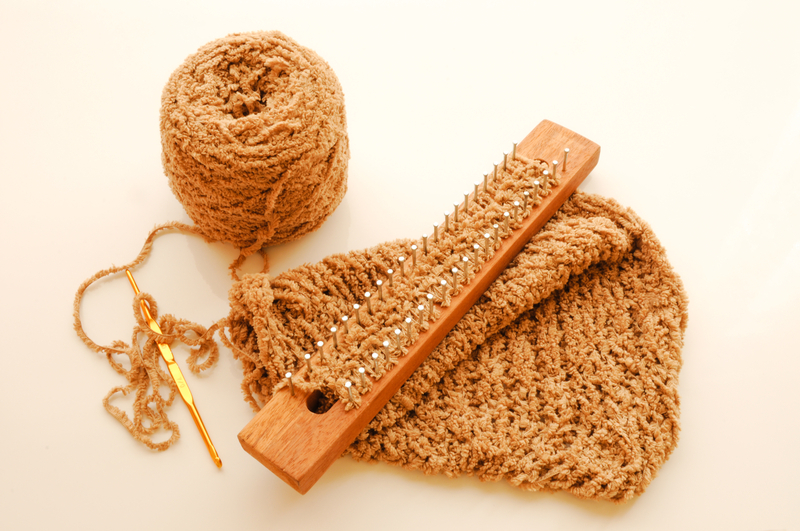 To make a firm cast on edge using this method you will need a crochet hook in addition to your loom and your loom hook. To start make a slip knot and place your crochet hook in the loop. Slip the loop on your crochet hook over the first peg, keeping the hook in place. Hold the loom and the tail of the slip knot in your left hand, and the crochet hook and the working yarn in you right hand inside the loom. Move the working yarn around to the front or outside of the second peg. Using your crochet hook at the back or inside of the second peg, insert the hook through the gap between the second and third pegs and pull the yarn through the loop on the hook to form a chain stitch. Continue all the way around the loom making a chain stitch between each peg. When you reach the gap between the last and first pegs, slip the loop still on your crochet hook over the first peg. At this point, you should have one loop on all pegs, except the first one which will have two loops. Ready for More Knitting Loom Instructions? 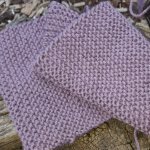 If you have managed to successfully cast on your knitting on your loom, the next step is to learn how to form knit stitches. You will find instructions on just how to do that (and a few more tasks as well) on the 2nd knitting loom instructions page.